You’ve worked hard for what you have. We’ll help you protect it. Metro Insurance Advisors partners with MAPFRE Insurance, the #1 auto and home insurer in Massachusetts, to offer affordable, high-quality insurance coverage for auto, home, renters, and business. Find out how much you can save by choosing Metro Insurance Advisors! GET A FREE QUOTE: Call 888-METRO-92 or visit metroinsuranceadvisors.com. Metro Insurance Advisors, LLC is an affiliate of Metro Credit Union. Business conducted with Metro Insurance Advisors is separate and distinct from any business conducted with the credit union. Any insurance required as a condition of the extension of credit by Metro Credit Union need not be purchased from Metro Insurance Advisors but may, without affecting the approval of the application for credit, be purchased from an agent or insurance company of the member's choice. Insurance is only available for residents of Massachusetts or New Hampshire. 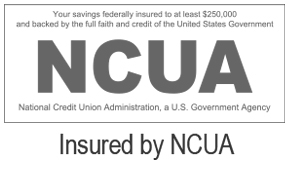 Insurance products are not deposits of Metro Credit Union and are not protected by the NCUA or any other type of deposit insurance. They are not an obligation of or guaranteed by the credit union and may be subject to risk. Customers of Metro Insurance Advisors may file complaints with the Office of Consumer Affairs. Looking for Life or AD&D Insurance?